The next time you are trying to decide what to write about consider an evergreen topic. 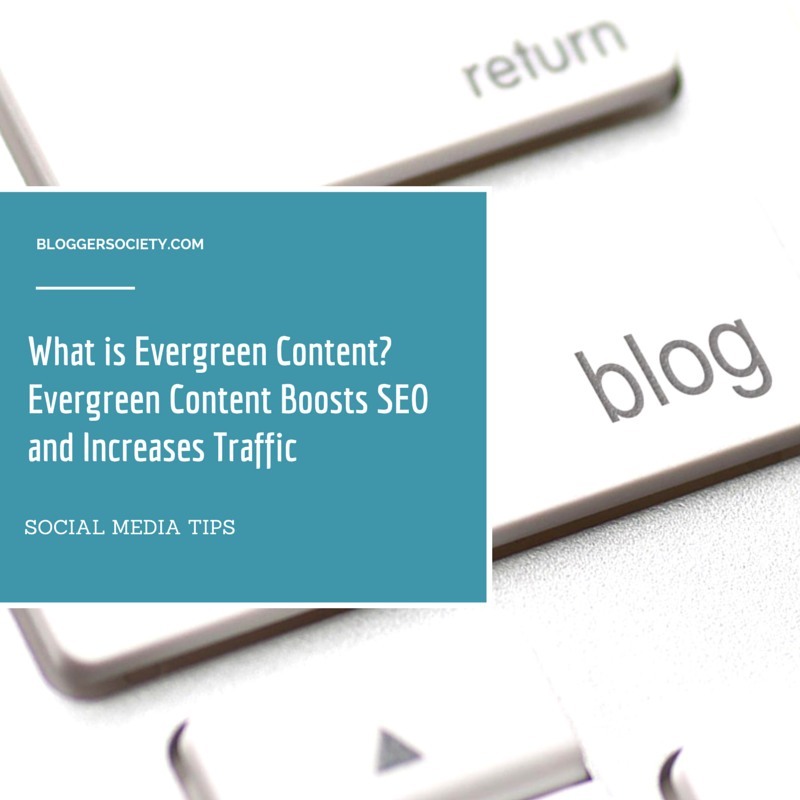 Evergreen content can drive traffic to your website and build loyal readership. The posts last forever because they are geared toward specific niches, lists, how to guides , resources and information that is always being searched by readers. Do you know what evergreen content is? The name “evergreen” is derived because the content is always fresh and forever green. When you write evergreen content you will find that you are still getting lots of web traffic regardless of whether you are keeping your website up to date with new articles. There use to be a philosophy among bloggers to write daily or at least 3-5 blogs a week. As the industry has progressed, the need to have quality content over quantity is vital to have longevity in content development. If you write evergreen content correctly you can write less content, schedule it in a timely fashion and focus on pitching, writing sponsored posts and growing your business. A good posts lasts a couple hours or a couple days, but evergreen posts last forever. To become a successful evergreen content developer you need to be the source of content that is interesting to the reader. Focus your niche on quality How To Guides, Resources, Travel Tips, To Do Lists. Your content must also be up-to-date, detailed and include all the information your reader will need about a particular topic. Long articles also make excellent in-depth articles. As your readers continue to read your content you will become a trusted loyal voice in their sphere of influence and they will continue to come to your site for similar resources. The majority of your evergreen posts will require no updates. However, make sure to periodically review and update your posts as needed to ensure you have fresh content. Here are over 100 Blog Topic ideas for you to write about. You may want to tailor the topics for your specific niche. Also, make sure to create an editorial calendar to plan writing and publishing of the blog posts on the home page and use social media channels to schedule and promote them in a timely manner. You may also want a list on the side column of your blog to feature your posts or a separate tab to make your viral content easy to find. Travel: Top 100Hotels To Stay in Washington, D.C.
Visit Your local retailer, amusement park(s), movies and/or give a new product a test drive and write an honest review. Share the testimonials of your satisfied readers and clients on your blog. Find someone who is famous or an up and coming thought leader in your blog area of expertise who hasn’t been interviewed and interview him or her. Two words — Viral post! Question: What other Evergreen Topic Ideas would you include in the list?